Friday: Soshnikov and Street have cleared waivers according to Elliotte Friedman of Sportsnet. The Blues have now sent Soshkinov to the minor leagues, though Street was still present at the Ducks’ morning skate in Carolina. Thursday: The St. Louis Blues are preparing to make a change up front, as they today placed Nikita Soshnikov on waivers for the purpose of sending him to the minor leagues. Soshnikov has played in just five games for the Blues this season, and is still looking for his first point. With Robert Bortuzzo almost ready to return from injured reserve, the team needed another open roster spot. In addition, CapFriendly reports that Ben Street has also been placed on waivers by the Anaheim Ducks for the second time this season. There’s no doubting that Soshnikov has enough talent to crack an NHL roster somewhere, but the simple fact is he’s had trouble staying healthy throughout his short career. The 25-year old forward was signed out of the KHL in 2015 by the Toronto Maple Leafs, and quickly made an impact on that team by scoring 18 goals in the minor leagues and adding another five points in 11 NHL contests. He was a regular in the Maple Leafs lineup the next season, but suffered a concussion after colliding with Zdeno Chara in 2017 and would never really find his way back into Toronto’s lineup. Traded to the Blues last season for a fourth-round pick after a deadline had threatened his return to Russia, he suffered several injuries in St. Louis and ended up playing just 12 games for them. After five games this season, Soshnikov is now available for any team in the league to make a claim. The feisty forward is a versatile bottom-six option, but just hasn’t been reliable enough to really contribute on a consistent basis. His $800K cap hit is relatively inexpensive, but could still scare off enough teams that he slips through and is assigned to the minor leagues once again. Street meanwhile was already waived and cleared for the Ducks before the season began, but needed to go through the process again given the fact he’s played 18 games this year. The veteran center is a legitimate All-Star talent in the AHL, but hasn’t ever been able to show enough in the NHL to warrant consistent playing time. It’s unlikely he’ll be claimed, but perhaps a team with a desperate need on the fourth line will take a shot. The St. Louis Blues have activated forward Nikita Soshnikov from LTIR and have announced they have loaned him to the San Antonio Rampage of the AHL for a five-game LTI conditioning stint. Soshnikov, who suffered a concussion in the preseason after taking a puck to the ear, will try to regain his form over those five AHL games and could be eligible to return to the Blues for their Nov. 1 game at home against Vegas. The 25-year-old was acquired by St. Louis in a mid-season trade from Toronto last season in exchange for a 2019 fourth-round pick. Soshnikov, who couldn’t crack the Maple Leafs’ lineup last season, did appear in 12 games for the Blues once he arrived, posting a goal and an assist. He did play in 56 games for Toronto during the 2016-17 season, posting five goals and nine points. Upon his return, he should compete for bottom-six minutes with the team. Soshnikov’s agent, Dan Milstein, first announced the transaction. Sunday: Milstein has announced that his client signed a one-year, one-way contract with the Blues, keeping him in St. Louis for the upcoming season. Friday: While some had speculated that Blues winger Nikita Soshnikov was likely going to sign in the KHL this summer, that doesn’t appear to be the case. 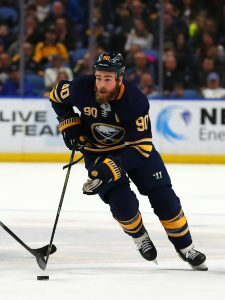 His agent, Dan Milstein, told Pierre LeBrun of TSN and The Athletic (Twitter link) that the sides are in the process of finalizing a one-year contract to keep him in St. Louis. He is owed a qualifying offer of just over $742K by Monday. The 24-year-old started last season with Toronto in the minor leagues before getting recalled. After playing in three games with the Maple Leafs, he became waiver-eligible which left him in limbo for a little while. After sitting on injured reserve for a couple of months, he was then flipped to the Blues in exchange for their 2019 fourth-round draft pick. Soshnikov played a sparing role for St. Louis down the stretch as he got into a dozen games, posting a goal and an assist while logging 11:10 per night in ice time. Assuming the contract does get finalized, he will likely contend for a fourth line role once again in 2018-19. Free agency is now a little less than a month away from opening up and there are quite a few prominent players set to hit the open market while many teams have key restricted free agents to re-sign. Here is a breakdown of St. Louis’ free agent situation. 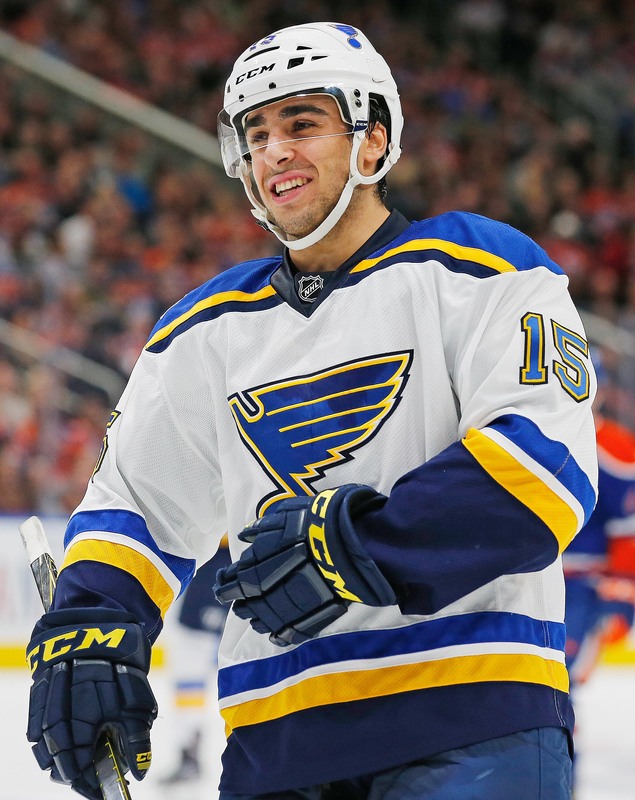 Key Restricted Free Agents: F Robby Fabbri – Things haven’t gone smoothly for Fabbri over the past few years, as he’s faced multiple injuries that have robbed him of all but 51 games since the end of the 2015-16 season. After scoring 18 goals and 37 points as a rookie, and starting his sophomore season on an even better pace, the Blues had big plans for their 2014 first-round pick. Now, after two straight major knee surgeries and more than a year away from NHL action, it’s not clear where he sits in their future. It was obvious that if he was healthy he could help the team offensively, but negotiations this summer are not leaning in his favor. A short-term deal seems likely for a player that is both an injury risk and hopes to prove himself again in 2018-19. 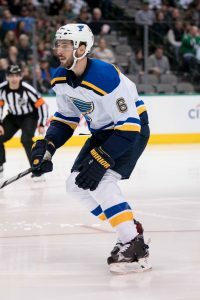 D Joel Edmundson – The 2011 second-round pick has turned into quite the player for the Blues, and found himself logging more than 20 minutes a night this season while they dealt with injuries to Jay Bouwmeester and inconsistent play from Carl Gunnarsson and Robert Bortuzzo. The Blues have young Vince Dunn expected to make an even bigger contribution next season, but Edmundson could take another step forward as he enters his mid-twenties. The 24-year old defenseman is coming off a two-year $2.1MM contract, and should earn more than that in just a single year on his next deal. If St. Louis believes he can be a core piece of their blue line for the coming years, there could be a long-term deal in order. He’ll turn 25 before July 1st, meaning a two-year contract takes him to unrestricted free agency in the summer of 2020. Key Unrestricted Free Agent: G Carter Hutton – The Blues moved out their most intriguing free agent at the deadline when they traded Paul Stastny to Winnipeg, but Hutton could prove to have an even bigger market. The 32-year old goaltender led the league with a .931 save percentage this season among netminders with at least 20 starts, and could be looking for an opportunity to play an even bigger role with a team. Jake Allen didn’t do much this season to prove that he can handle a full-time starter workload, meaning the Blues will likely make every effort to re-sign Hutton this summer. For a player who has never earned more than $1.13MM in a single season though, you can bet he’s intrigued by the opportunity free agency presents. Projected Cap Space: The Blues, like many teams this summer have plenty of room to work with under the cap. With Stastny and others coming off the books they’ll have somewhere around $18MM in cap space depending on where the upper limit lands and could be big players in the market. The team has recently admitted that they’re on the lookout for an upgrade at center, and many have speculated that they could enter the John Tavares sweepstakes should the superstar center reach unrestricted free agency. With plenty of young talent coming through the system on cheap contracts, landing a big fish like Tavares is a reasonable target for GM Doug Armstrong to aim at—whether he’ll get there is a different story.